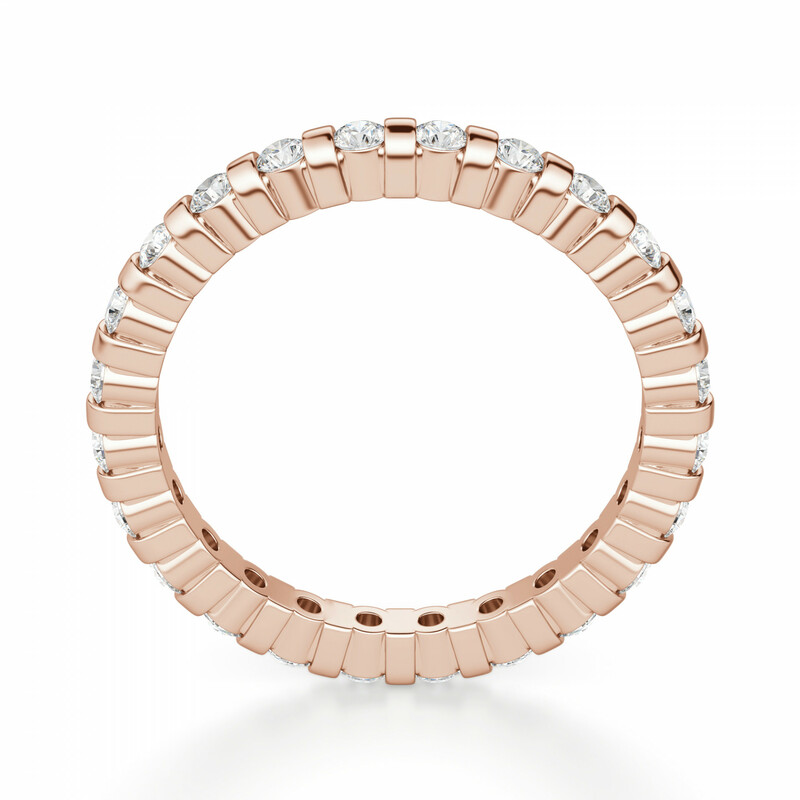 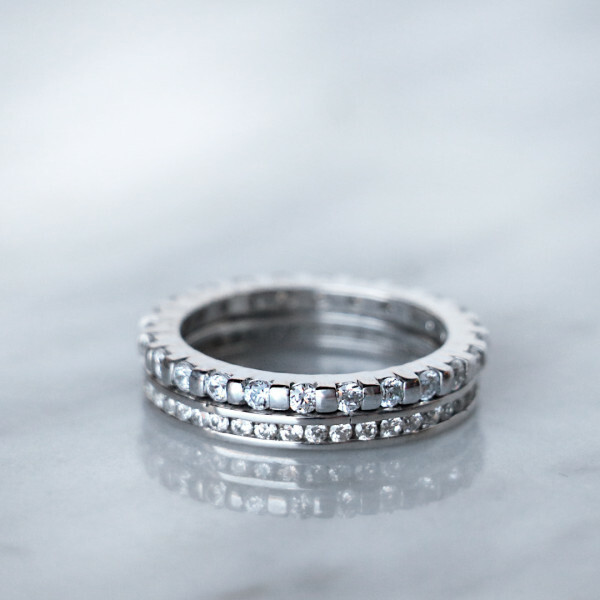 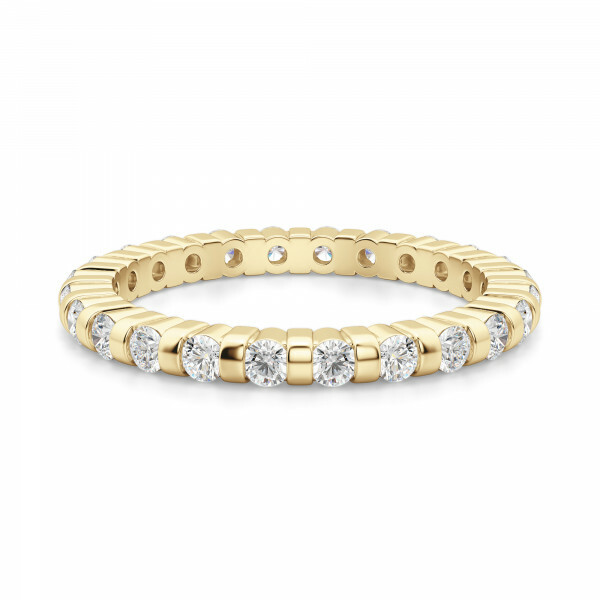 Love Alive Petite Eternity Band was added to your cart. 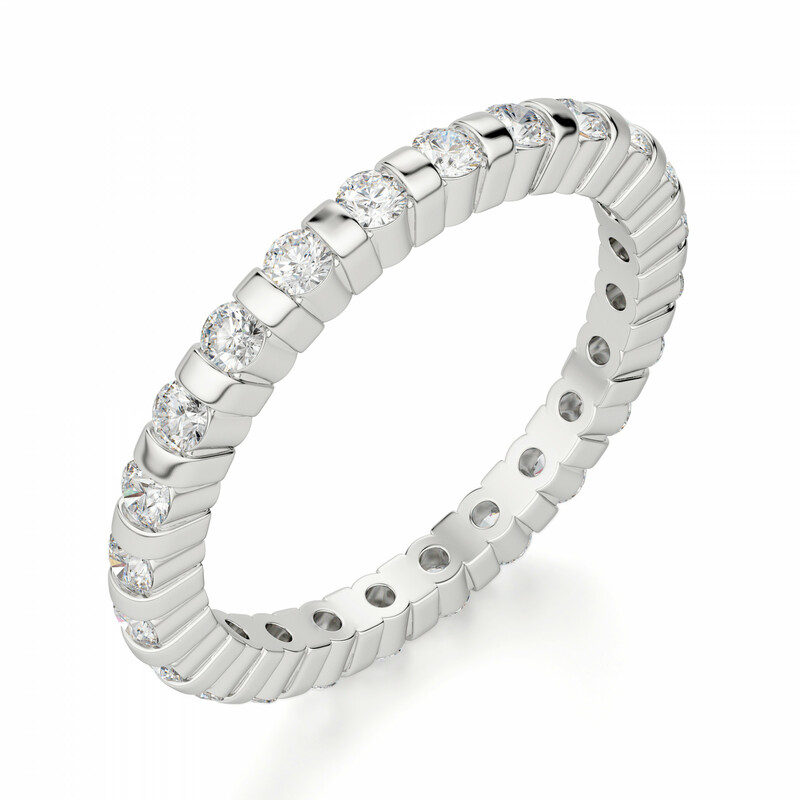 This eternity band has a contemporary look with clean lines and modern bar settings. Round Brilliant cut Nexus Diamond alternatives are glorious between the smooth metal. 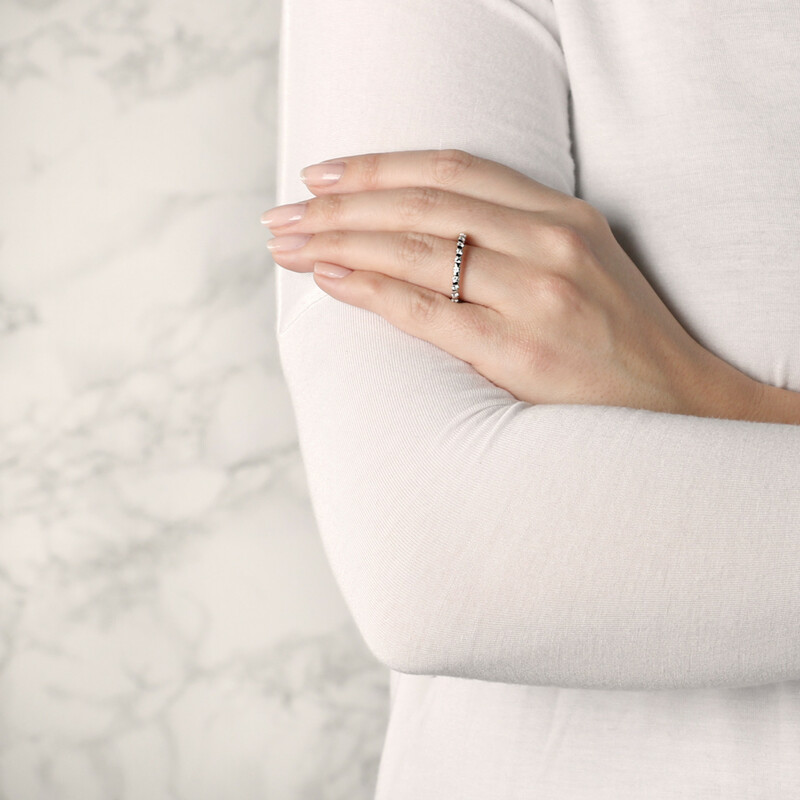 These settings also make this band comfortable and snag-free. 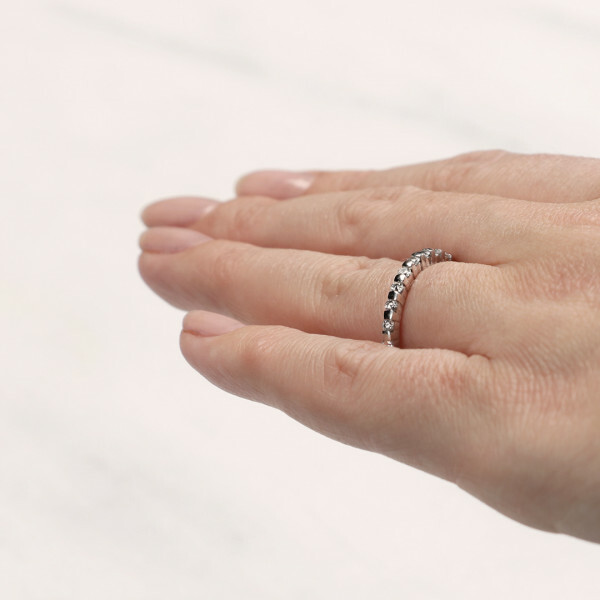 Classy and elegant. I love my ring!